BREAKING NEWS: Amanda Lindhout’s lead kidnapper, Ali Omar Ader, has been caught. We named the houses they put us in. We stayed in some for months at a time; other places, it was a few days or a few hours. There was the Bomb-Making House, then the Electric House. After that came the Escape House, a squat concrete building where we’d sometimes hear gunfire outside our windows and sometimes a mother singing nearby to her child, her voice low and sweet. After we escaped the Escape House, we were moved, somewhat frantically, to the Tacky House, into a bedroom with a flowery bedspread and a wooden dresser that held hair sprays and gels laid out in perfect rows, a place where, it was clear from the sound of the angry, put-upon woman jabbering in the kitchen, we were not supposed to be. When they took us from house to house, it was anxiously and silently and usually in the quietest hours of night. Riding in the backseat of a Suzuki station wagon, we sped over paved roads and swerved onto soft sandy tracks through the desert, past lonely-looking acacia trees and dark villages, never knowing where we were. We passed mosques and night markets strung with lights and men leading camels and groups of boisterous boys, some of them holding machine guns, clustered around bonfires along the side of the road. If anyone had tried to see us, we wouldn’t have registered: We’d been made to wear scarves wrapped around our heads, cloaking our faces the same way our captors cloaked theirs—making it impossible to know who or what any of us were. The houses they picked for us were mostly deserted buildings in tucked-away villages, where all of us—Nigel, me, plus the eight young men and one middle-aged captain who guarded us—would remain invisible. All of these places were set behind locked gates and surrounded by high walls made of concrete or corrugated metal. When we arrived at a new house, the captain fumbled with his set of keys. The boys, as we called them, rushed in with their guns and found rooms to shut us inside. Then they staked out their places to rest, to pray, to pee, to eat. Sometimes they went outside and wrestled with one another in the yard. There was Hassam, who was one of the market boys, and Jamal, who doused himself in cologne and mooned over the girl he planned to marry, and Abdullah, who just wanted to blow himself up. There was Yusuf and Yahya and Young Mohammed. There was Adam, who made calls to my mother in Canada, scaring her with his threats, and Old Mohammed, who handled the money, whom we nicknamed Donald Trump. There was the man we called Skids, who drove me out into the desert one night and watched impassively as another man held a serrated knife to my throat. And finally, there was Romeo, who’d been accepted into graduate school in New York City but first was trying to make me his wife. Five times a day, we all folded ourselves over the floor to pray, each holding on to some secret ideal, some vision of paradise that seemed beyond our reach. I wondered sometimes whether it would have been easier if Nigel and I had not been in love once, if instead we’d been two strangers on a job. I knew the house he lived in, the bed he’d slept in, the face of his sister, his friends back home. I had a sense of what he longed for, which made me feel everything doubly. When the gunfire and grenade blasts between warring militias around us grew too thunderous, too close by, the boys loaded us back into the station wagon, made a few phone calls, and found another house. Some houses held ghost remnants of whatever family had occupied them—a child’s toy left in a corner, an old cooking pot, a rolled-up musty carpet. There was the Dark House, where the most terrible things happened, and the Bush House, which seemed to be way out in the countryside, and the Positive House, almost like a mansion, where just briefly things felt like they were getting better. At one point, we were moved to a second-floor apartment in the heart of a southern city, where we could hear cars honking and the muezzins calling people to prayer. We could smell goat meat roasting on a street vendor’s spit. We listened to women chattering as they came and went from the shop right below us. Nigel, who had become bearded and gaunt, could look out the window of his room and see a sliver of the Indian Ocean, a faraway ribbon of aquamarine. The water’s proximity, like that of the shoppers and the cars, both comforted and taunted. If we somehow managed to get away, it was unclear whether we’d find any help or simply get kidnapped all over again by someone who saw us the same way our captors did—not just as enemies but enemies worth money. We were part of a desperate, wheedling multinational transaction. We were part of a holy war. We were part of a larger problem. I made promises to myself about what I’d do if I got out. Take Mom on a trip. Do something good for other people. Make apologies. Find love. We were close and also out of reach, thicketed away from the world. It was here, finally, that I started to believe this story would be one I’d never get to tell, that I would become an erasure, an eddy in a river pulled suddenly flat. I began to feel certain that, hidden inside Somalia, inside this unknowable and stricken place, we would never be found. This reading group guide for A House in the Sky includes an introduction, discussion questions, and ideas for enhancing your book club. The suggested questions are intended to help your reading group find new and interesting angles and topics for your discussion. We hope that these ideas will enrich your conversation and increase your enjoyment of the book. As a child, Amanda Lindhout escaped a house governed by chaos and violence by paging through old issues of National Geographic and imagining herself in its exotic locales. At the age of twenty, Amanda boarded her first international flight to see those places in person. She traveled through Latin America, then Laos, then Bangladesh and India. When money ran out, she returned home to work and save for the next adventure, launching herself deeper into the world each time—backpacking solo across Sudan, Syria, Pakistan—and closer to some sort of edge, while also beginning to carve out a career as a reporter. In August 2008, she traveled to Mogadishu, Somalia to report on the fighting there. Three days into her visit, she and her friend, a photojournalist, were abducted. What follows is the story of Lindhout’s fifteen months in captivity. While her family in Canada attempts to negotiate impossible ransom demands, Lindhout focuses on staying alive—converting to Islam, receiving “wife lessons” from a militia leader, and plotting a risky escape that has devastating consequences. As the abuse she suffers escalates, A House in the Sky becomes a testament to the capacity of the human spirit to overcome unspeakable adversity and find a deeper resolve to live. 1. Above all else, Amanda identifies herself as a traveler, an identity born out of her childhood obsession with National Geographic. Why do you think National Geographic had such a large impact on her? What led Amanda to make the leap from the legions of armchair travelers into someone whose life revolved around her journeys? 2. On page 14, Amanda discusses sneaking into an amusement park after dark, with a childhood friend. She writes, “…we allowed ourselves to relax and feel giddy, forgetting that it was dark and we were trespassing, forgetting everything that scared or haunted us…” How does this childhood memory reflect Amanda’s experience traveling to foreign countries and unknown places? Is part of the thrill of travel related to risk? 3. Amanda’s first trip, to South America, initially disappoints her because Caracas doesn’t “feel foreign”. What does this demonstrate about the different ways people travel? As she leaves Caracas and ventures into the kind of journey she’ll come to crave, what changes for her? 4. During this trip to South America, Amanda confronts the experience of venturing off the beaten path, and defines the feeling of the frontier as “a knifepoint between elation and terror” (p. 36). How will this balance come to define her travels? 5. The memory of cutting her friend Kelly’s hair will become one of the things that sustains Amanda throughout her captivity. Why do you think this memory sticks with her? 6. In Dhaka, Amanda experiences what she sees as the “beautiful” side of Islam, but also confronts the dangers inherent in being a solo female traveler in that particular place. How does this dichotomy influence her experiences in captivity? 7. On page 67, Amanda quotes Paul Theroux’s Dark Star Safari, “All news out of Africa is bad. It made me want to go there…” Both Nigel and Amanda understand this sentiment, and it’s partially what draws them to Somalia. What do you make of the idea that bad news would bring someone to a place? 8. Amanda’s time in captivity is spent trying to negotiate the best way to stay alive—she vacillates between trying to understand and connect with her captors, through things like converting to Islam, and resistance like trying to escape. Why do you think Amanda and Nigel have such different takes how to best manage their captivity? What do you think are some of the advantages and disadvantages of each method? 9. When Amanda overhears a report of their capture on the radio, she writes of the feeling as “crushing. It was confirmation that our troubles were both real and deep” (p. 146). Why do you think this affects her so powerfully? 10. When Amanda is given an English-language Koran, it is the beginning of her “conversion” to Islam. How does Amanda’s relationship with Islam change throughout her time in captivity? As she reads the Koran and begins to understand it, and thus her captors, better, how does her awareness of her situation change? 11. Amanda reflects throughout the book on the strangeness of the relationships with her captors—even though they were imprisoning her, she attempted to feel compassion and understanding for them. Were you surprised that this was possible? Discuss Amanda’s relationships with Jamal, Ali, Adam, and the rest. 12. Nigel and Amanda’s relationship as fellow captives is at times extremely difficult. Discuss their different ways of coping. How did you feel when Nigel told Amanda to “just take this one”? Did you blame Nigel? 13. Throughout the book, and in particular during her captivity, Amanda uses mantras to calm herself. What does she find so effective about repeating simple words and phrases? Why do you think this kind of practice can be soothing? 14. On pages 220-221, Amanda writes about what being alone does to her mind, and refers to a kind of psychic energy that seemed insane before her captivity, but became more believable. What did you make of her account in your reading? Have you ever experienced this kind of psychic energy? 15. 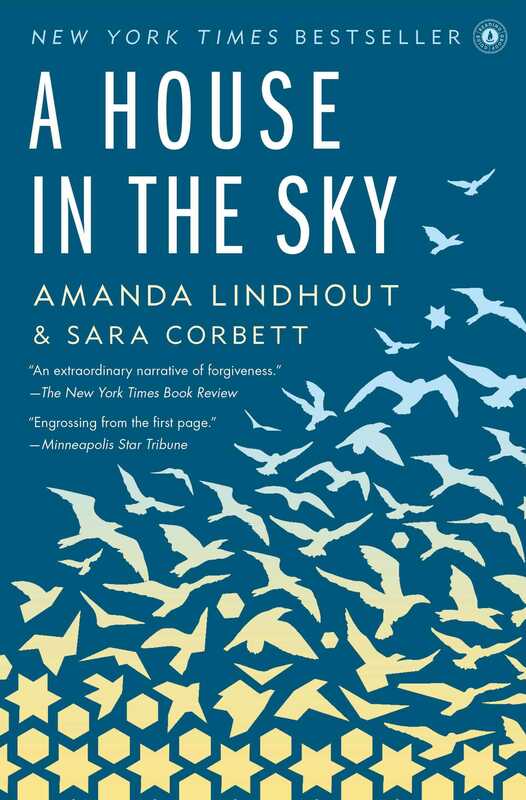 Discuss Amanda’s “house in the sky” (p. 292). How does this dream help her maintain hope, and survive? 16. Of writing notes to Nigel, Amanda says “…writing helped me to believe it. It staked some claim on the truth (p. 226)”. How does this idea relate to Amanda’s decision to write a book about her experience? How does Amanda’s relationship with writing evolve over her time in captivity (see also p. 364)? 17. How did reading A House in the Sky change your understanding of the role fundamentalist religion can play in a war-torn society? How did it change your perception of Somalia? What surprised you most in your reading? 1. Since her release, Amanda has dedicated herself to humanitarian efforts, including some that have brought her to Africa, and back to Somalia. Visit her website: AmandaLindhout.com and learn about the Global Enrichment Foundation [http://www.globalenrichmentfoundation.org/]. How does the knowledge of Amanda’s work after her captivity alter your understanding of the book? 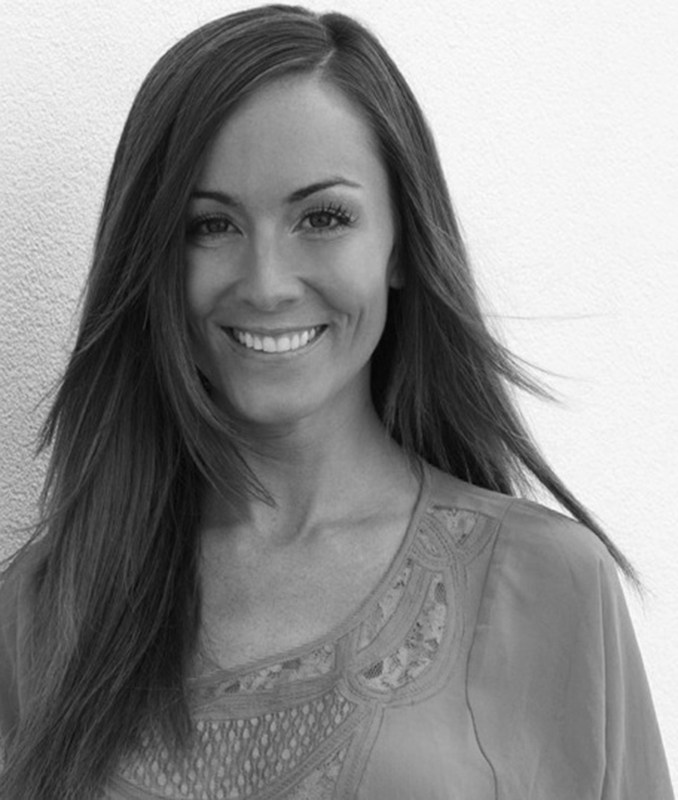 Amanda Lindhout is the founder of the Global Enrichment Foundation, a nonprofit organization that supports development, aid, and education initiatives in Somalia and Kenya. For more information, visit AmandaLindhout.com and GlobalEnrichmentFoundation.com. Sara Corbett is a contributing writer to The New York Times Magazine. 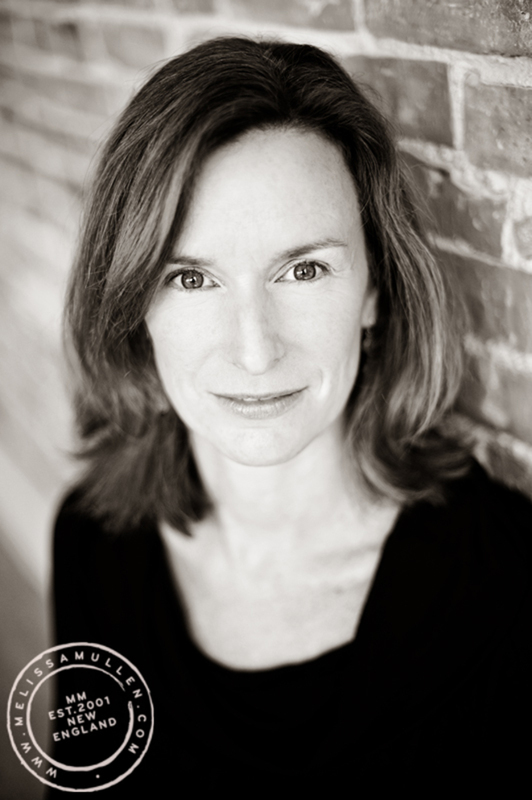 Her work has also appeared in National Geographic; Elle; Outside; O, The Oprah Magazine; Esquire; and Mother Jones.